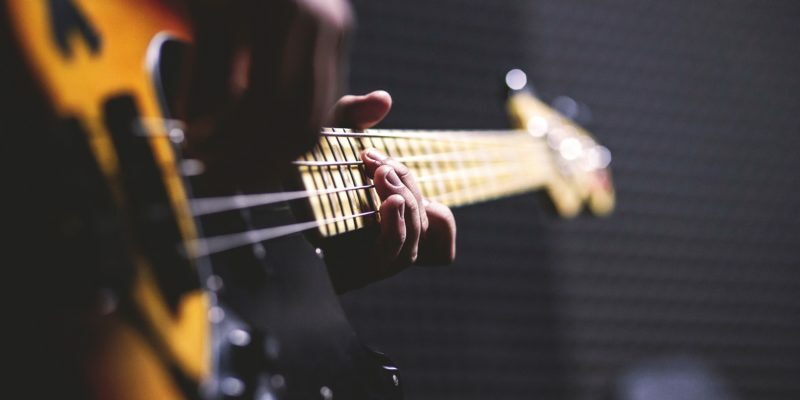 Speaking as an audio producer, I frequently notice that many online videos have an array of varying volumes. This can make it hard to hear the narration. Often these videos have been created specifically for the web and are produced by the many corporate video producers out there. At best I find myself constantly altering my PC’s volume. At worst I sometimes give up because no matter how far I tweak the volume the audio is virtually inaudible. Whenever I do post production for TV use, adverts specifically, there are certain audio standards that I have to conform to otherwise the broadcaster rejects the advert and it never gets broadcast. 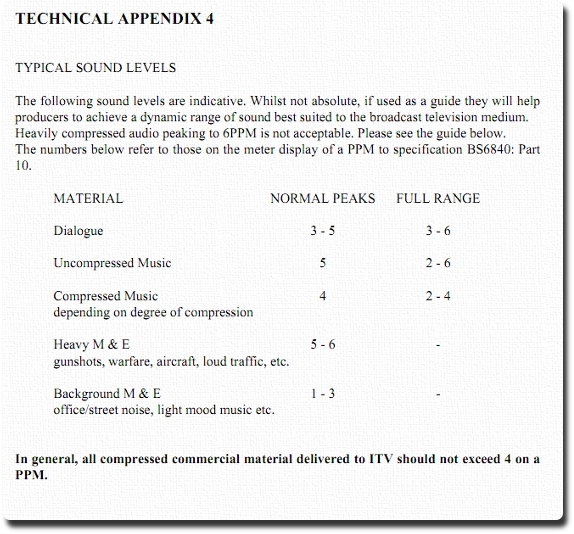 Although these specs are mainly to ensure TV audio is not over processed (like radio often is) the spec has a minimum volume and I am sure that it would still get rejected if it was too quiet. 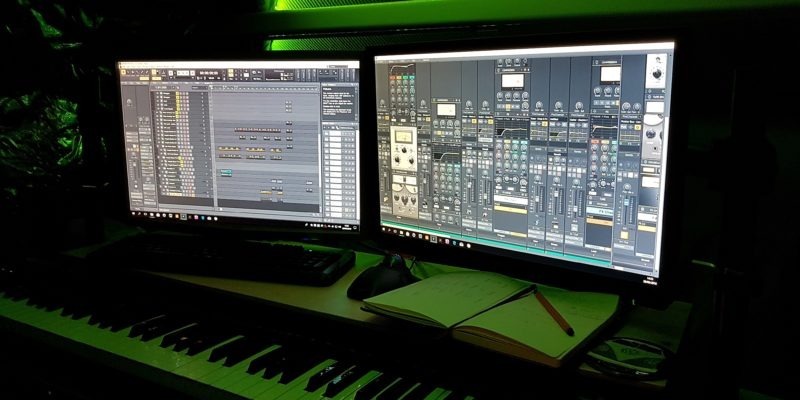 Most audio producers / TV producers have very powerful monitoring systems and can easily turn volumes up during mastering / post production, however, most consumers online do not. My own audio production set up is calibrated to help me get a sense of what a consumer is hearing through laptops and computer speakers. I am amazed at some of the videos on YouTube that I struggle to hear. I am surprised as these are often professional video producers making online video for big name clients. 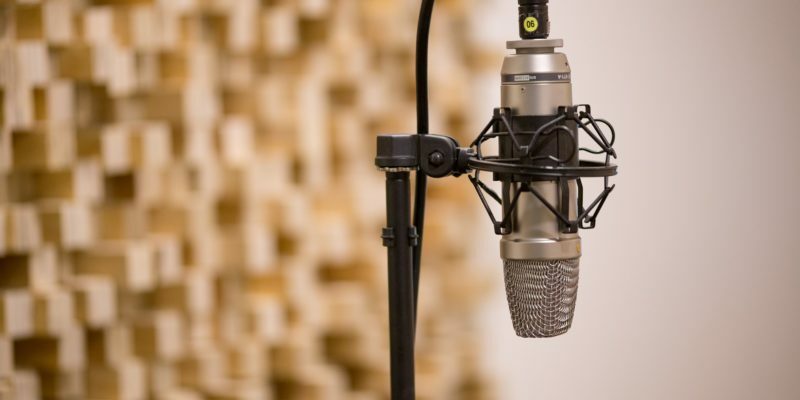 While I don’t think online audio volumes should follow radio and become really loud, I am surprised that there is no industry standard level for online video. Should we have one? Have you experienced similar issues? I have just spent a few minutes surfing YouTube and found an Apple conference. Look at the screen capture below. 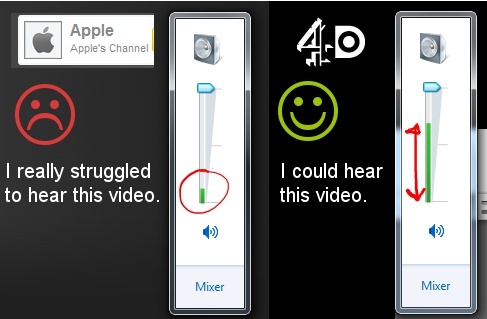 This clearly shows the difference between a video that was easy to hear and Apple’s which was really hard to hear. I actually gave up midway. It is interesting to me that they go to so much trouble with the conference yet fail to get an audio producer to carry out some relatively basic techniques to optimise the video audio. I would be happy to fix Apples audio but doubt they will ask me, especially now 🙂 Sorry to pick on you Apple, you are not alone.